Douglas Richards, Swine Specialist for the Ontario Ministry of Agriculture, Food and Rural Affairs, was announced as the winner of the Ontario Pork Congress Industry Leadership Award on October 20 in Stratford at the Annual General Meeting of the Ontario Pork Congress (OPC). Frank Hogervorst, 2013/2014 President of Ontario Pork Congress, commented that he had never seen a more detailed and succinct nomination form outlining career and personal accomplishments during his time on the Executive. Frank quoted Doug’s nominators: “Doug’s most significant achievement is best described as outstanding communication of ideas, new technology and information both internally throughout the swine section and externally as a representative of the sector”. 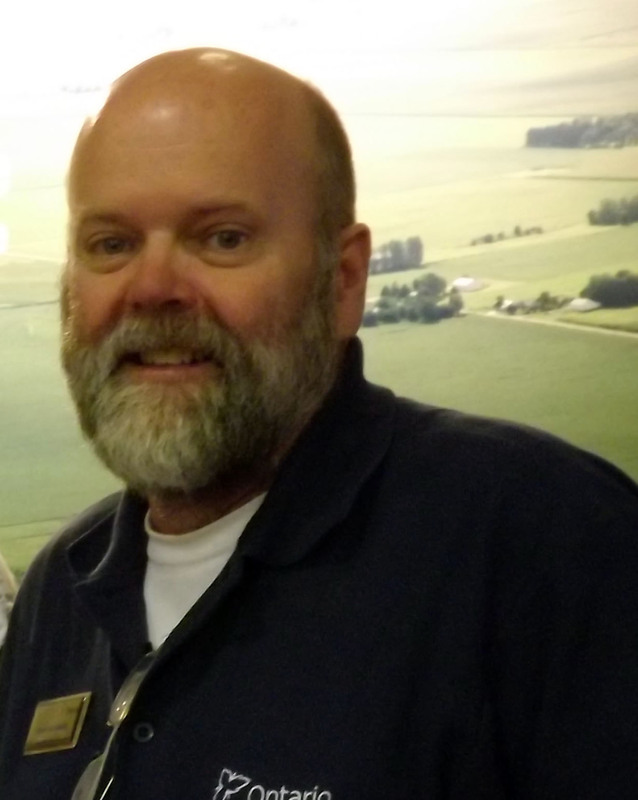 Richards thanked Hogervorst for the award saying that he especially enjoyed working and volunteering in the pork industry as clients and colleagues often became close friends and he felt that was unique to the pork industry. He also shared the evolution of his career and a few entertaining experiences over those 34 years. The Pork Industry Leadership Award is awarded annually to an individual who has given freely of his/her time and provided distinguished service to the Ontario Pork Industry and community. The Ontario Pork Congress has been in existence since 1973 and has a goal of bringing together all segments of the pork industry and to showcase what it has to offer. To learn more about Ontario Pork Congress, visit www.porkcongress.on.ca. Farm & Food Care is launching the Ontario-wide Farm Invention Challenge with $9,000 in cash prizes available for winning entries in the categories of animal care or water efficiency/quality improvements. 1. Large farm gadgets and gizmos – Whether it`s welding up a new attachment for your skid steer or designing a whole new feeding system, share with us your large scale farm innovations. 2. Small farm gadgets and gizmos – Have you ever fixed something with a rubber band or used a cotter pin in an unusual way? We want to hear about the simple fixes that have revolutionized animal care on your farm. 3. Farm hacks – Tell us how you have made simple changes around your barn to save time and headaches on your farm. 4. Water quality and nutrient management – What changes to equipment or practices have led to improved water quality and less nutrient runoff from farm lands? Share your ideas that help Ontario farmers better manage nutrients and minimize off-site impacts on surface and ground water quality. 5. Water use efficiency – Have you built a custom control system or use a different moisture sensor system to minimize overuse of water? Enter your equipment ideas or conservation practices that are working to improve the use of water around your farm. 6. Community/other – Tell us about your community organized or farm group projects that have helped to protect and/or improve water resources in your area. Click the link for full contest eligibility and application forms. Visit the OMAFRA website for the September Swine Budgets. You may also be interested in the interactive swine budget worksheets. 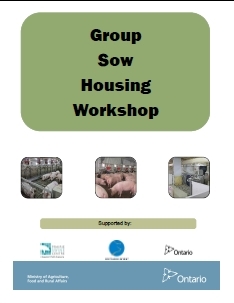 These are excel worksheets for Ontario swine producers to calculate the income, variable costs and fixed costs for farrow to finish, farrow to wean, farrow to feeder, nursery, wean to finish and grower to finish operations. The Ontario Base Market Hog Price is averaging $221.35/ckg, 100 index, up $6.97/ckg from last week’s average. This is based on a CME Constructed weekly average price of US$109.36/cwt. (up US$2.64/cwt. from last week) and a Canadian dollar weekly average of 89.54 cents (down 00.67 cents from last week’s average). • CME Constructed Price – US$109.85/cwt. The USDA Pork Cut-out Value is averaging US$121.49/cwt which is up US$4.01/cwt. from last week’s average with the all primals up. US slaughter cracked the 2 million mark the last three weeks but remains 5.4% below last year for the same weeks. Weights continue to run up 8 pounds from last year. Current daily movement in the pork cut-out, cash price and nearby futures indicate next week’s price movement could be sideways to up slightly.